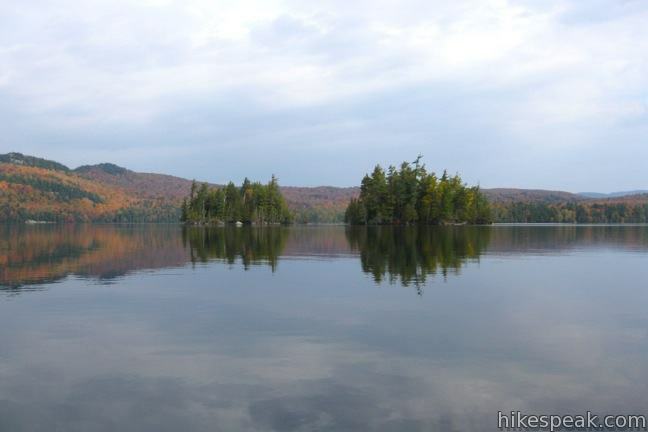 Would you like to camp on an island in an Adirondack Lake? Take a trip to Blue Mountain Lake in Hamilton County. The picturesque 1,220-acre lake has six designated campsites that are free and first-come first-serve, so throw your tent and gear in a boat and check out the primitive camping on Blue Mountain Lake! To sign out a campsite, make your way to the public beach and boat ramp along Route 28 at the southeast corner of Blue Mountain Lake. At the kiosk, you will find a map showing the location of each site on Blue Mountain Lake. Of the six designated campsites operated by the New York State Department of Environmental Conservation, sites 1-4 are located on Long Island, site number 5 is located on Osprey Island, and site number 6 is located on the lake’s north shore adjacent to Castle Rock Trail. 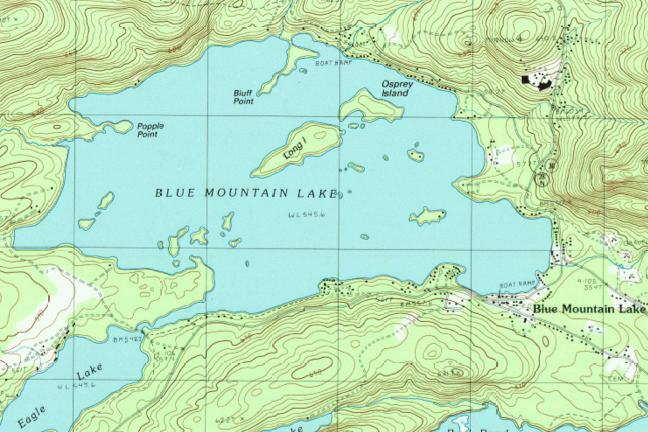 The campsite-bearing islands are depicted on the USGS map below along with the trail to Castle Rock on the northeast side of the lake. A permit is not required to camp at Blue Mountain Lake if you stay for three nights or less with a group of nine campers or less. If you have a larger party or plan to camp for a longer period, you are required to obtain a free camping permit from a forest ranger. 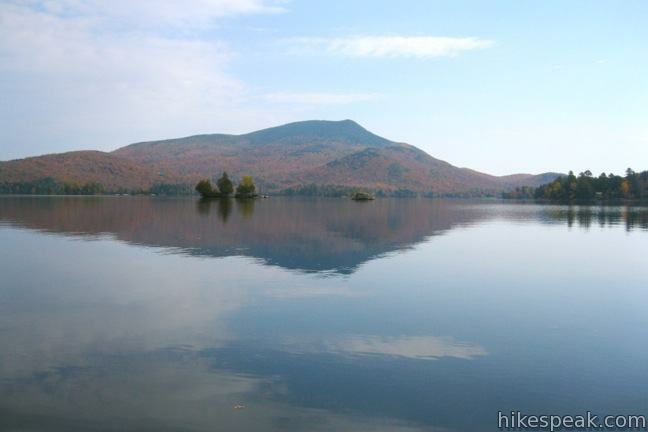 To contact the forest ranger for Blue Mountain Lake call (518) 352-7676 or email r5info@gw.dec.state.ny.us. Motorboats are permitted on Blue Mountain Lake, but canoes and kayaks are ideal vessels for reaching the campsites, which are little more than a mile from the boat ramp. Each of the waterfront sites on Blue Mountain Lake has a numbered marker, making them easy to spot from the water. 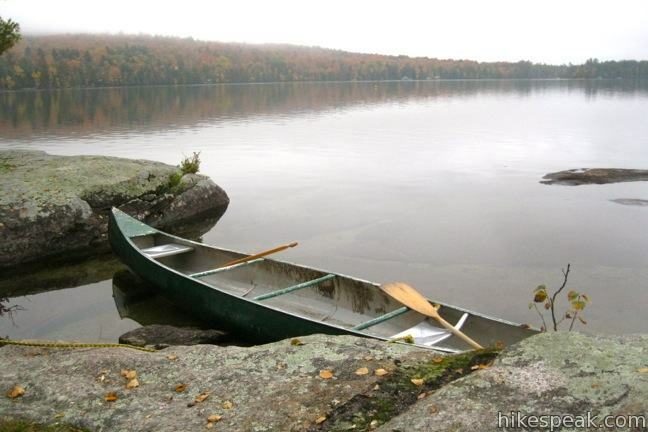 Blue Mountain Lake is the perfect size for exploration with a canoe or kayak. Several shallow sandy coves can host refreshing summer swims. Other areas of the lake are a hundred feet deep. Fishing on Blue Mountain Lake is permitted, and the lake is stocked each year with approximately 500 lake trout and 1,300 landlocked salmon. Under limits established by the DEC, anglers may also catch brook trout, smallmouth bass, brown bullhead, rainbow smelt, pumpkinseed, and yellow perch. The south and east sides of Blue Mountain Lake are lined with houses, cottages, and hotels, but other areas have been preserved as wilderness. While camping in a designated site, you are certain to feel that you have left civilization behind (while at the same time being reassured that it is still nearby just in case). 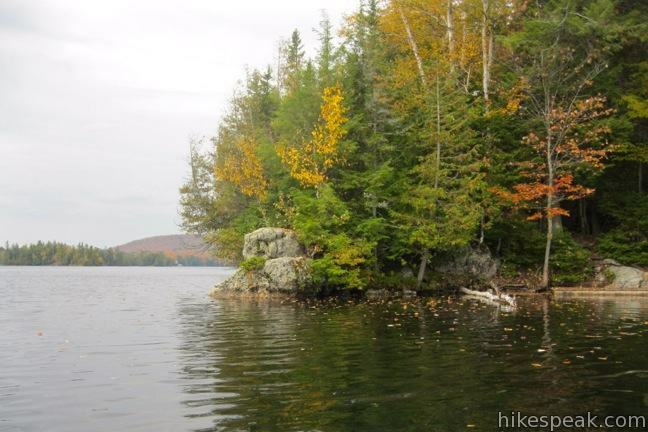 A few smaller islands scattered around Blue Mountain Lake are fun to explore on a picnic paddle. Remember that camping is forbidden on these islands and limited to the designated sites. 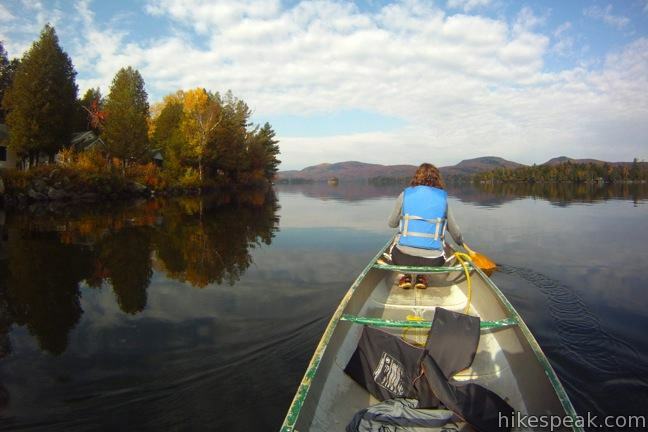 Signing out one of the six sites on Blue Mountain Lake is easy, so don’t hesitate to take a trip to this scenic Adirondack lake. If the campsites on Blue Mountain Lake are full, check out the 61 sites at nearby Lake Durant Campground. 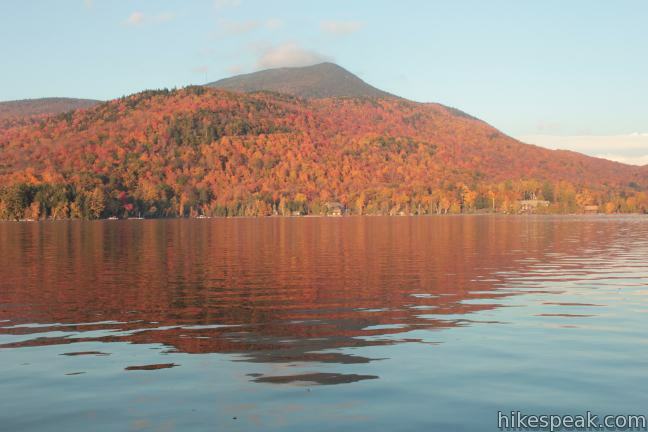 There is plenty to do in the area, including visit the Adirondack Museum (located in the town of Blue Mountain Lake) and hike several excellent trails, so get out and enjoy! To get to the campground: From Blue Mountain Lake at the intersection of routes 28, 28N and 30, drive east for 0.3 miles to the public beach and boat launch. Coming from the west, the beach is 23.5 miles from the town of Inlet on Route 28. 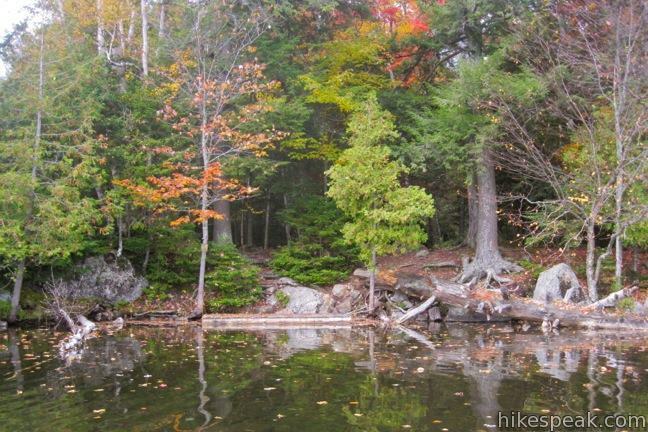 This 1-mile round trip hike crosses level terrain to a peaceful pond, and the hike can be extended to 6 miles by hiking to the end of the trail and Wilson Pond. 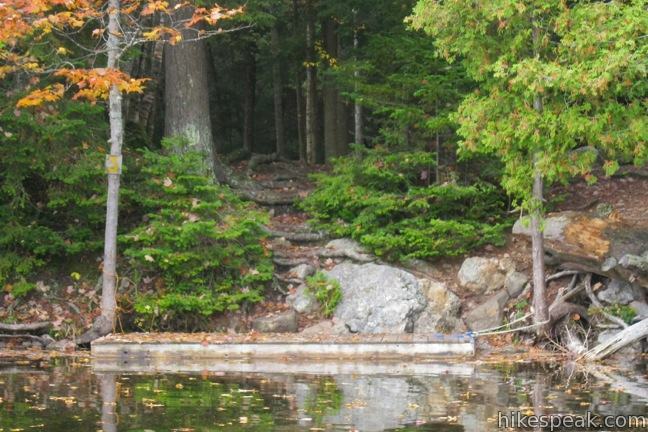 Is there a campsite with shower facilities near Blue Mountain Lake? If yes, what is the cost per night? Do we need reservations? We are thinking about 4th of July weekend. We’re looking for a scenic, secluded tent-camping spot that has water access – for both swimming & a small (17 foot) motorboat. Ideally the water would be clear for snorkeling but not imperative. Also, a site that is very close to either boat or car as we have lots of gear that we prefer not to haul too far. Can anybody recommend anything? Many, many thanks!! Planning to come up end of September. 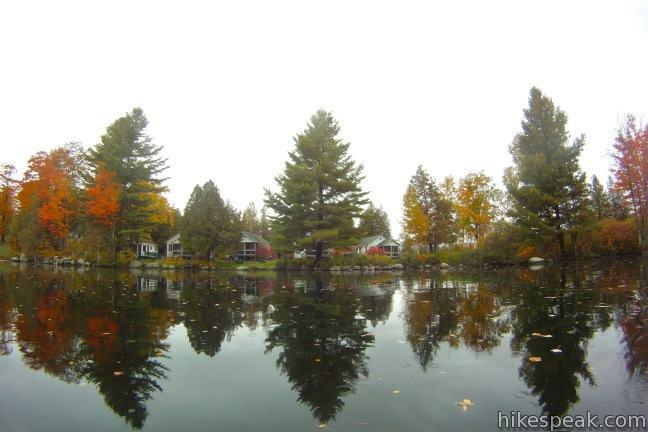 We have camped the islands of Saranac in the past and are looking for a change in scenery. We normally bring small 14 foot fishing boats. Was wondering if it would be unrealistic to bring a 25 foot tri-toon? Do these islands have docking for such a boat and does the lake have a lot of rock or shulls just under the water line this time of year? 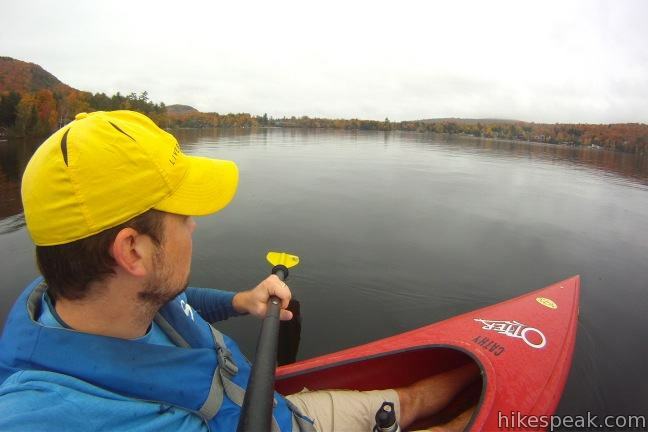 Is there a place nearby to rent a kayak/canoe? Yes, Blue Mountain Lake Boat Livery rents canoes and kayaks, as do others. Can you camp in the primaries sites if you are under 18?